Evening of 13 May 2011, the Shanghai Shibang "mother image" large-scale photo exhibition award ceremony held at the Group Headquarters multi-purpose hall. Shanghai Shibang Operations Center Director, the administrative center managers and departments responsible persons attended the ceremony. There total of 400 copies of the entries, after a preliminary screening, 108 photos were enter to the exhibition link. The exhibition game was held in two forms, on-site and online. During 5 days exhibition, the cumulative voting was 987. The evening's awards ceremony not only announced the first, second and third prize winners, but also handed out special awards based on the content and the story behind the photos. 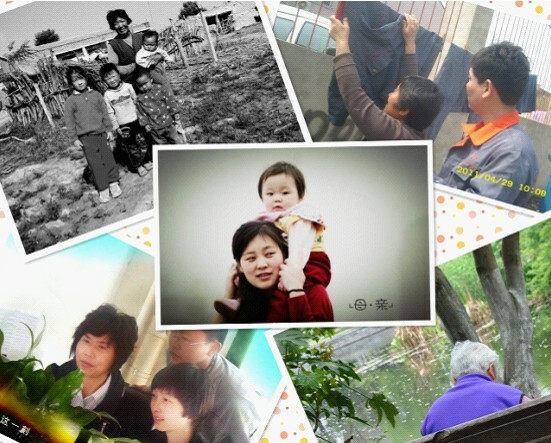 The photo of monkey mother and her child captured by office staff when they were at overseas and a company cleaning staff's working photo obtain this award. At the awards ceremony, they also draw out a lucky prize from the 987 votes. The podium, third prize winner Xiao Xiao, a staff from Zhuqiao Industrial Park, said excitedly holding a photo, "This photo records a moment that manager Zhang guide me in daily work. During two years, it is the Manager Zhang who tirelessly cultivate me, a little , to the right track. Both at work and life, she gave me care and concern. While we're not related, but we are like mother and daughter. Thanks my mother, I also wish her continued health and happiness! "